For the 6th year we have packed the day full with holiday activities for you, friends, or your family. Let us help you catch Christmas fever with caroling, surprise Santa visits, hayrides, hot beverages, delicious meals, oyster stew, crafts, Scandinavian treats, and gifts for all ages. 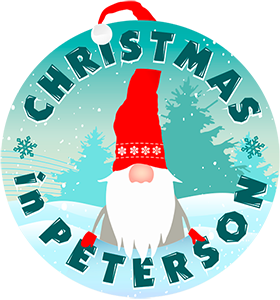 Visit www.christmasinpeterson.com for more information! The Friends of Peterson know family members have different interests, so we provide a wide variety of activities and food to please all ages and interests. We couldn't be more honored to host some of the most interesting and innovative crafters to come out of Southeastern Minnesota. Among all of the artisans we handpicked in 2018, you will find gifts for nearly everyone on your list and within your price range.